After the success of Parkour and Theatre project JUMP in 2012, the culmination of 5 years of fusing Parkour and Theatre through various projects, I knew that what we had created was the beginning of a very powerful idea. I have worked with Simon Sharkey, Associate Director at National Theatre of Scotland for a number of years to refine the process of fusing Parkour with Theatre. Taking the common ideas of togetherness, open-ness and playfulness which are inherent in Parkour and in physical theatre we have engaged with thousands of young people and adults to create opportunities, open doors, make performances and ultimately transform lives through the power of movement, expression and art. It’s these ideas that have brought me all the way to Jamaica, where I am currently spending a week as a facilitator for NTS and working with Manifesto J:A – a local theatre company. We are at the beginning of ‘Run Free’ – a project based in Kingston which follows the same lines as JUMP. I’ve met a whole host of amazing individuals from the local Parkour community, the Jamaican Constabulary Force, the Jamaican Defence Force and young people from some of the downtown communities and areas of Kingston. We are extremely lucky to have support from the British Council here in Jamaica who have been fundamental in getting this project moving. 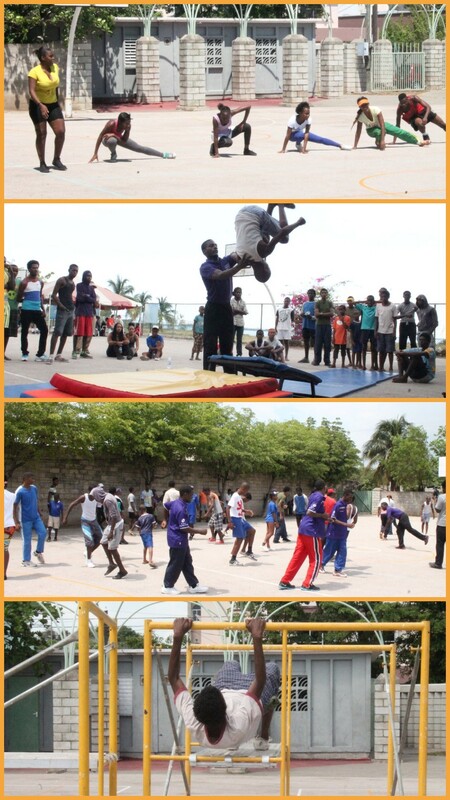 Days 1 and 2 of the project were about introducing a group of young adults to the ideas of Parkour, Physical Theatre and the JUMP project with the intention of these participants becoming facilitators in Run Free – either through direct delivery of workshops with young people teaching Parkour or whatever their skill might be, or by helping to support the relationships between the communities and the project leaders. 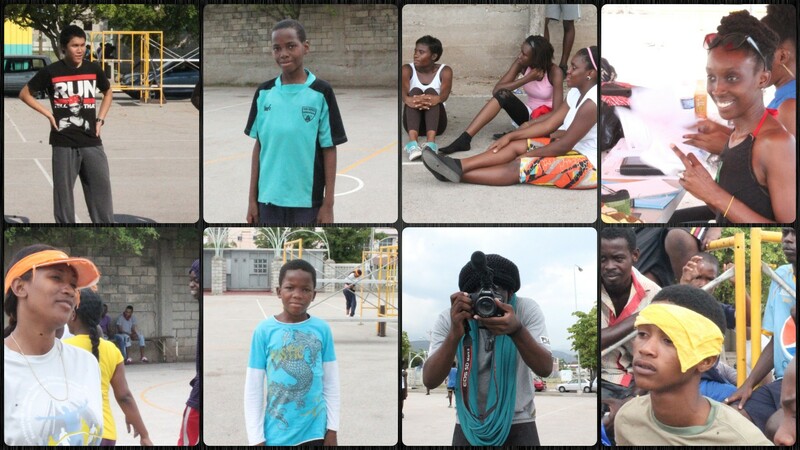 The group consisted of local Parkour groups RUNNURS UTD and Joeka and a strong presence from the Jamaican Constabulary Force who are more than aware of the issues facing young people in Kingston. We had a very physically tough Parkour workshop on the first morning which every single person gave 100% to regardless of background, physique and age! The group were quick to arrive at the bigger concepts of Parkour and quite quickly became advocates of the Parkour ethos of ‘Start together, Finish together’ – a united and supportive unit, overcoming all the challenges of the day with conviction and determination. We ended the day with a long discussion exploring the philosophy of Parkour, the many facets to the practice and what the benefits might be for the young people involved in ‘Run Free.’ I was impressed, but not surprised that all of the participants arrived at the notion that Parkour is an idea, a way to learn life skills and a way to overcome challenges. Days 3,4 and 5 were spent at Breezy Castle in downtown Kingston working outdoors with young people from the local community. This was the main part of the project – to make connections with the local community and introduce them to the longer term goals of the project. 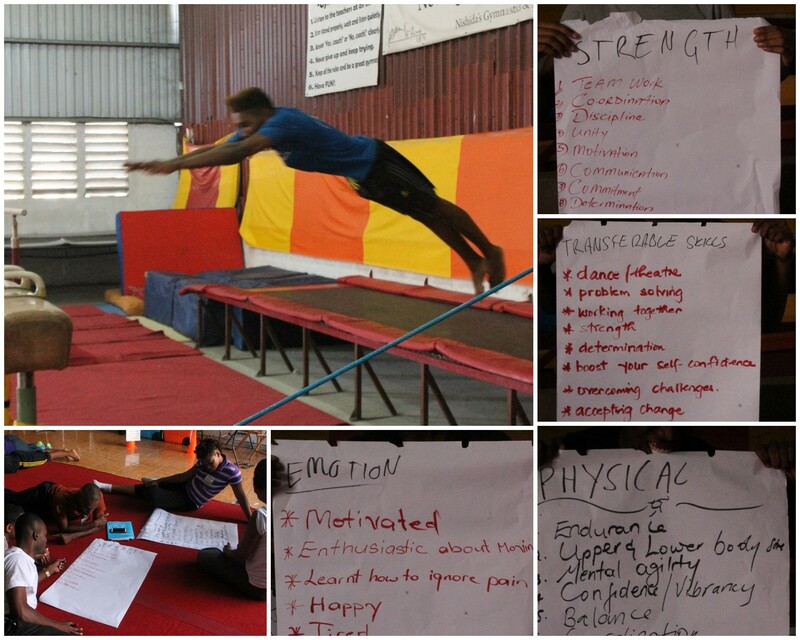 We delivered a mix of Parkour workshops, Physical Theatre and group exercises and engaged in a lot of dialogue with the young people living in the community. Initially the participants were a little unsure of what to expect, but within about 20 minutes of starting we had a large number of youths gathered around watching the workshops and trying to decide if they wanted to take part. They all did eventually! By the end of the first day we had around 50 participants over a wide age range from the local community. This first day was a real challenge, with the attention and behaviour of the group varying massively. When presented with the right amount of challenge, humour and authority the group focused and got down to some hard training. The Parkour practitioners from the training earlier in the week were on hand to assist, learn and support throughout. Arriving at Breezy Castle on the second day, the young people emerged quickly and gathered in a circle with focus and attention, ready to start the second day. This in itself was a great achievement – to have the whole group ready and open to the workshops. We started again with some physical and Parkour training to get the group working together and then rested to try and start a dialogue with the group about their lives. This can be tricky to breach, particularly with young men who struggle to open up and express themselves around their peers. Simon led the discussion with some provocative questions about what the youths strive for, what makes them angry and what makes them motivated. Gaining the trust of the young people so that they could talk freely with us was no mean feat and I was impressed by their willingness to discuss these issues. They feel there are a lack of opportunities and support from the government and are striving for education and work. They feel like the wealth in Kingston in being spent in the wrong places. There is a real sense of the value of support from the older generations, and a responsibility to create something for the younger generations. A lot of their community values echo the values in Parkour and this is one of the reasons I believe it is such an engaging discipline. Parkour creates a physical way to express and experience these feelings. So then comes the question – how do this become a piece of theatre? What’s the connection? One of the end goals of Run Free, as it was with JUMP, is to give young people a voice and a way to express themselves that they can be proud of. A show that comes from their stories, their experiences and their lives. We want to give these young people the confidence and the opportunity to be heard. The act of expressing their frustration and feelings in a public forum can raise self esteem and allow them to speak to people who will listen. Through Parkour and physical theatre they have a way to speak up. And this isn’t simply about impressing an audience with a show, but about taking a community through an experience which teaches them discipline, commitment, patience and a variety of life skills. 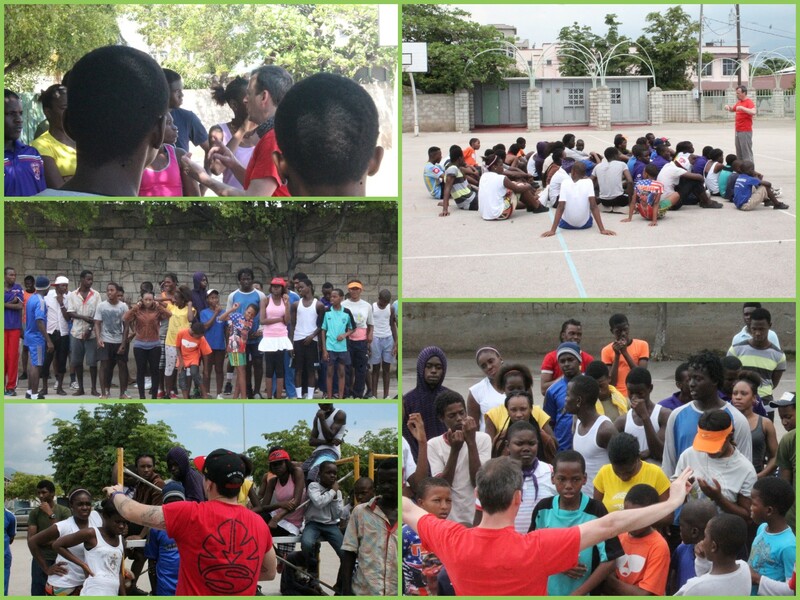 We want to equip these young people to take the leap into adulthood and become strong role models and contributors. Parkour is all about making a journey. What most ‘outsiders’ or those new to Parkour don’t realise that the physical part of the journey is almost just a bi-product or a reflection of the bigger journey – constantly overcoming challenges, problem solving, critical thinking, exposure to risk, failure, success, pain, progress and accomplishment. These journeys are inherent in the lives of every single person and I think for young people, they are at the stage where they are beginning to face these journeys and maybe haven’t yet figured out the tools and attributes needed to go on these journeys and come out of each one with a life lesson. Run Free is a way to channel their energy into these journeys, improve them as individuals and strengthen their community.